The Ministry of Labor and Social Affairs announced on Sunday the recovery of more than 14 billion dinars of those who exceeded the salary of social welfare in Baghdad and the provinces during the past months of this year, while directed to open a window directly with the citizens to see their complaints. 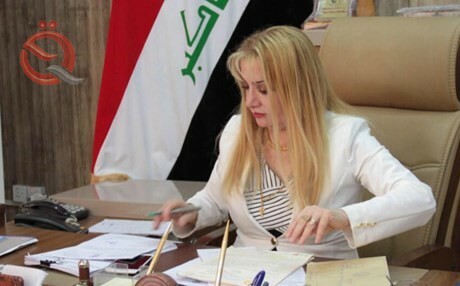 The Director-General of the Social Protection Fund in the Ministry Jacqueline Salia, in a statement quoted by the newspaper "morning" and the official "Economic News", "The volume of refunds of those who exceeded the salary of social welfare in Baghdad and the provinces during the month of October last amounted to more than one billion and 400 Million dinars, "noting that" the amounts recovered from transgressors are deposited in the protection fund to be granted to the actual beneficiaries according to the law of the Social Protection No. 11 of 2014. " She added that "the total amounts recovered from the beginning of this year until the end of October last amounted to more than fourteen billion and a half billion," noting that "the Council of Ministers decided earlier to extend the period of installment payments to 10 years after the period of 5 Years to ease the burden of the poor. " She pointed out that "the Minister of Labor in the name of Abdel-Zaman directed by the method of monitoring and create a professional environment depends on transparency in transactions, whether financial or administrative, and called for cooperation with non-governmental organizations because of their practical experience and field in the service of community segments, Must be independent and professional and the distribution of roles in a scientific manner gives positive results in the work and benefit the disadvantaged and marginalized groups of society. She explained that "the minister directed the opening of a window directly with the citizens to see their complaints to find immediate solutions within the legal contexts and work to communicate with the media to monitor appeals, as well as listening to proposals and follow up the affairs of citizens and employees alike to form an integrated ring aimed at achieving strategies to promote the Work in the next phase. "